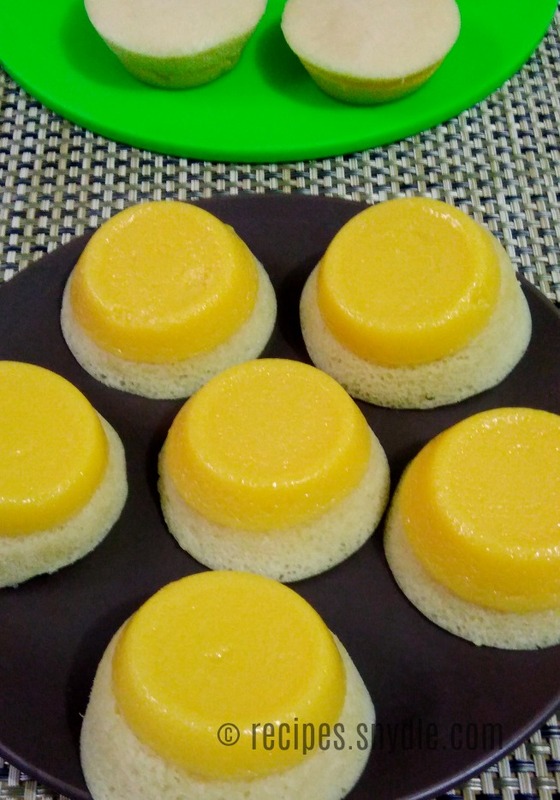 Leche Puto or Puto Flan (Leche Flan Puto) is a Filipino food that is a combination of leche flan and puto. Leche flan is a dessert that has a sweet taste and soft texture, not to mention that this is one of my favorite desserts ever tasted. 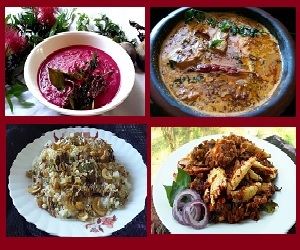 It is usually served in parties and also the very first one to be totally consumed by the visitors, just imagine how tasty that is. The bottom part if leche puto is the puto, which has a color of white and also a soft texture. 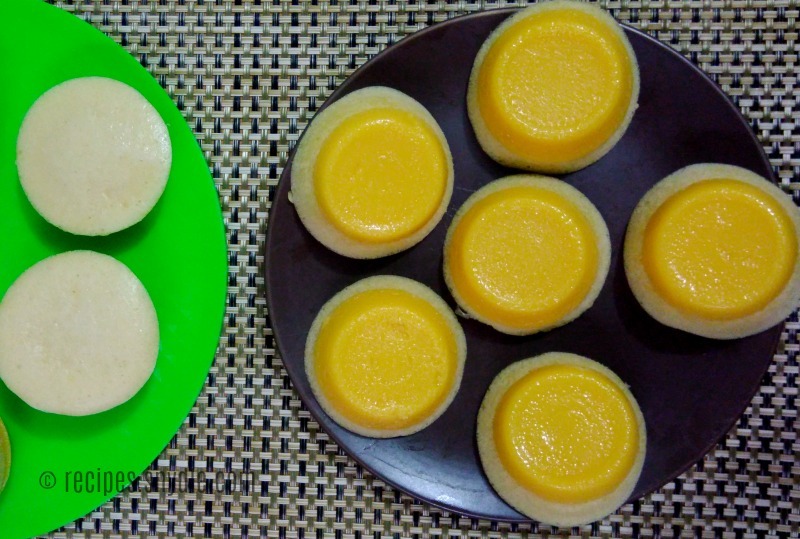 So to describe leche puto, it’s like a leche flan on top of a mini puto. In making leche puto you will need two sets of ingredients, one for the leche flan and the other for the puto. For the leche flan you only need egg yolks, condensed milk, and calamansi juice. The first thing prepare is the leche flan mixture. When you’re done mixing the ingredients for the leche flan, pour the mixture up to 1/3 of the puto molds that has been brushed with butter and steamed. Steam the flan until mixture s no longer liquid. After wards, the puto mixture is made by mixing together the flour, sugar, baking powder, salt, water, and egg whites. When it’s done, pour the mixture on top of the flan then steam in low heat for 8-10 minutes. 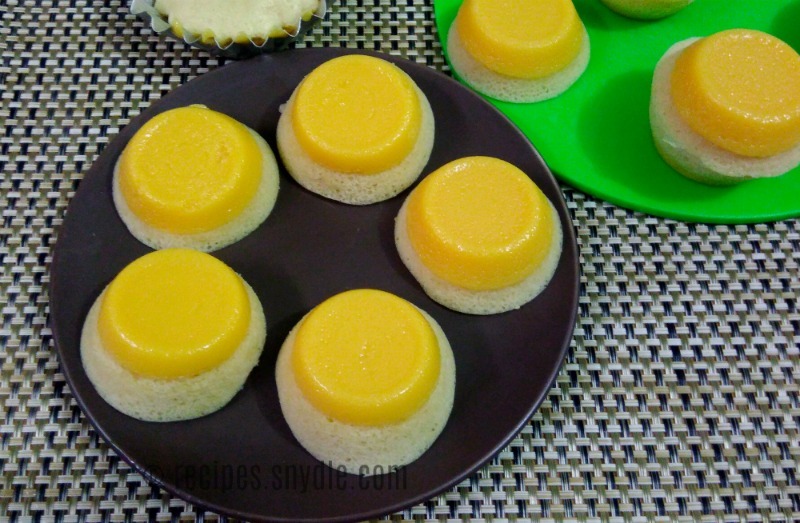 If you want a dessert that is something soft, then I recommend you this leche puto. Not only it easy to make, but also very delicious. Surely, your kids would love this food. Bring some water to boil for steming. Grease the puto molds by brushing them with melted butter. Make the leche mixture. In a mixing bowl, combine egg yolks, condensed milk and lemon juice. Mix until well blended. Pour the mixture into puto molds, filling it to 1/3 full. Steam on low heat for at least 10 minutes or until the mixture is lightly set. Remove from heat and let it cool completely. Make the puto mixture. In a mixing bowl, sift together flour, baking powder and salt. Add milk and egg. Mix until well-blended. Then add in water and vanilla extract. Mix well. Pour the mixture over the cooled flan, filling 2/3 of the molds or almost to the top. Steam low heat for around 10 – 12 minutes or until the puto has risen and set. Remove from heat and let it cool. Gently remove from the molds. Bring some water to boil. Grease the puto molds by brushing them with melted butter. Pour the mixture over the cooled flan, filling 2/3 of the molds or almost to the top. Steam low heat for around 10 – 12 minutes or until the puto has risen and set. Remove from heat and let it cool. Gently remove from the molds.